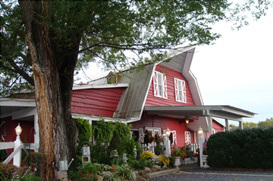 Chaffin Barn dinner theatre is just one of the many attractions to populate the quiet community of Bellevue. Bellevue is a strong and resilient community, buoyed by a common understanding that has bred a culture of loyalty and devotion. Bellevue proudly boasts of having a thriving business community and proactively involved citizens. Bellevue is a great place to raise a family, offering exceptional educational opportunities for children. Bellevue has affordable homes in friendly neighborhoods with many sports and recreational opportunities. Bellevue is fortunate to have leaders, business owners, educators, and a host of private residents who understand that they all share in the responsibility of creating economic success and stability to foster a healthy community environment for families living in and around the Bellevue area. Contact any one of Exit Realty Music City associates to locate your future Bellevue property.